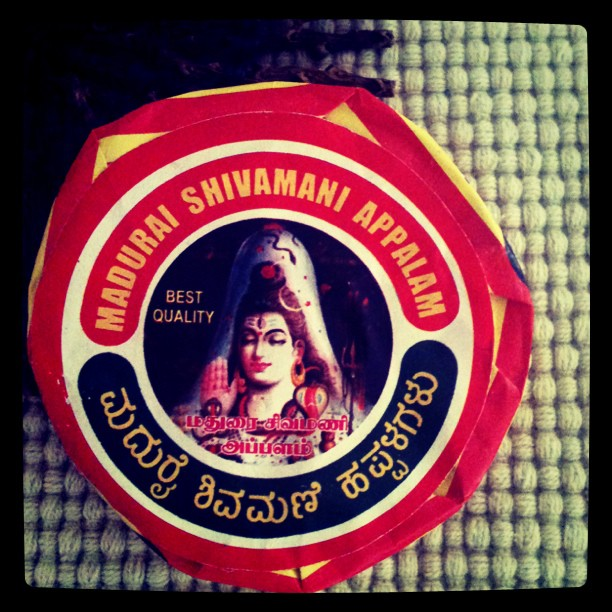 Madurai Shivamani Appalams without which no South Indian meal is complete. Papads or Papadoms or Appalams (depending on which side of India you’re chomping on) are crispies that you can smithereen into rice to make it truly drool-worthy. Brand Lijjat was a pioneer. It shot to fame in the ’50s providing hundreds of women a livelihood and a chance to say ‘Up yours’ to assaholic husbands. Ever since, it’s been quite the Indian woman’s domain in making and wrapping appalams. Meaning, this vibrant and simple pack would’ve been designed by a sweet lady in Madurai who believed Shiva danced to create the world. And appalams.